The month of November came and went in a flash – Storied Weddings is now out in the world (we spied it on a Norwegian book store website! ), and we’re still pinching ourselves. We set out many years ago to accomplish a dream and spent years and years (our first book notes were from 2004….) to hone in on our vision and to create something that’s a perfect representation of our vision for couples and our brand: telling the story of others through their weddings. We’re excited for our book signing tour stops to be announced in the coming weeks (starting with a Pottery Barn signing in Seattle on January 12th!) – so please stay tuned. You can also sign up for our newsletter to stay up-to-date. With the mounds of work and dedication, brainstorming, writing, organizing, re-writing, and dedicating and producing shoots, making flowers, schlepping boxes, and bringing all of the images to life, come so many questions! We creative directed and produced every frame in the shoots/designs, and of course designed and floralized (and planned!) our clients’ weddings in the pages. A true labor of love! We’re always happy to chat and thought it would be fun to put our most frequently asked questions into a blog post. How long did you have this concept in mind for? For so long! Actually, after our own wedding in 2003 we daydreamed about writing a book – and our first “manuscript” was for a step-by-step planning guide in 2004 (certainly nothing like what we put out with Storied Weddings!). Back then we had no idea we could have the opportunity to grow our business to what it is today. We had talked to a few publishers about concepts over the years, but the true excitement came when we chatted with our editor at Gibbs Smith Publishing, who became our publishing house. It’s certainly been a very long road! How long did it take you to write the book? We got our book deal in April of 2017 (the day before Ava’s birthday and three weeks before Bennie was born! ), and already had our chapter framework laid out. We followed that to a T, which allowed us to arrange details for our shoots and our content pretty seamlessly. 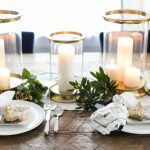 Having written for our Valley & Co. Lifestyle and old wedding blog, as well as frequent magazine articles and Q&As, we just rolled with our content, striving to put out our expertise and tips in conversational form. Writing itself took about 6 weeks – while we had ideas in mind to follow our chapters, we wanted to wait until we had most all of the images to pore over to accompany our text. We ended up writing about 32,000 words and wrote in between client meetings and naptime, and after the kiddos went to bed! Will there be any book signings soon? Yes! We’ll be sharing the full signing and event calendar soon, but our first signing will be at the Pottery Barn in University Village in Seattle in January (just after engagement season!). We’ll have stops in NYC and the south, and many more! What was your biggest challenge? Keeping our designs and shoots organized was probably the trickiest part of writing the book. We did not repeat a name in the stationery suites, kept colors unique to each chapter, and didn’t repeat a single flower. We aimed at creating diversity within the pages and had a huge spreadsheet to keep things documented. Also, tracking about 75 model release forms from wedding parties of our clients was challenging, and ensuring every single artist and vendor was credited properly. We checked our lists about a dozen times! What does the book mean to you? Storied Weddings spells out the heart and soul of what we do, what we have built together. We’re so often asked what it’s like to work together – we love it and wouldn’t have it any other way, truly. 15+ years in and our book represents our brand, our vision for others on their wedding day, and the expertise we share with our couples. We designed our book to be about you – about others, not about us. It’s written in a way that we hope is timeless 5, 15, and 50 years from now, focusing on the story of the couple getting married, tried and true. We knew we wanted some our favorite photographers (and friends) Ashlee and Scott O’Malley to shoot the book if we could make it happen, and we did! We were so thrilled with the consistency throughout the entire book, and they know our style so well. 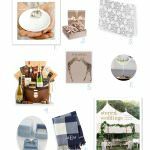 They captured the details for our brand and our couples so well, and gave our readers such a treasure trove of wedding eye candy! The incomparable Marcy Blum penned our beautiful foreword, which we’re so grateful for. She’s incredible and truly paved the way for all of us to do what we do. We love you, Marcy! What is it like to write a book? It was such an exciting and fun endeavor to make the book, but also an incredible amount of work to crunch content into just three shoots – and to complete the entire process in just 4 months (with a 3-year-old and a newborn, and wedding season!). But that made the process that much more challenging and rewarding. Making a book is an intense labor of love that most definitely takes on a life and schedule of its own. After we polished our chapters we laid out the concepts for what we would include in the Collections chapters – the chapters were broken up in a number of different categories with dozens of ideas in each. Our Designs chapters were a vision early on, so we were able to map out when we would shoot each based on the month and location (we flew to Napa to shoot some of the content). As soon as Scott and Ashlee O’Malley (O’Malley Photographers) sent back images from each shoot or real wedding (all 6 of the real weddings featured in the book were also captured by them), we culled through the frames, editing in the ones we felt would jump off of the pages and feel balanced with the others. I think we started with nearly 3,000 images. We were incredibly diligent and organized (thanks to years of planning, writing, and blogging! ), and had folders set up and labeled for each chapter that correlated to Scott’s images and the folder we shared with our publisher. But it was a challenge to keep everything neat and tidy! The last step of the process was the writing. We carefully followed our chapter framework and our words flowed – we wrote together mornings where Bennie was sleeping and Ava was at preschool, and after they were fast asleep. We finished shooting at the end of October, and waited until we had all of the images so we could pen the accompanying text in a balanced way, so that left us about 6 weeks to write 32,000 words! Again, our years of having both a wedding and a lifestyle blog and writing a great deal of interviews really helped us to focus. We aimed to turn our word count in early – and we succeeded by one day! After our copy was submitted (including real wedding stories from all of our couples and sage advice from some of the very best of our industry friends), we waited for the first round of edits. We were thrilled that we had a very brief round of edits – and then started the chapter designs. Our designer at GSP was outstanding, and we were able to pare down images and make moves on pages and frames quickly. The process was so in-depth, but so rewarding as we saw everything come to life. The last wedding we were able to sneak a few photos in from was in February, just weeks before the book went to print. From start to printing, the process took about a year. Then marketing and planning kicked in – which would yield its own blog post to talk through! We’re so incredibly grateful for the support of our industry and community and so thankful to the artists, companies, designers, and everyone involved that help us bring the pages to life exactly as we had envisioned! What advice do you have to others getting started or working towards a dream? Get after it! We’ve been told countless times, which makes the times we’ve been told oh yes! feel that much sweeter. Whether that’s with press opps, our book, speaking engagements, client designs, and our own goals and visions, sticking to our plans and revising them if something doesn’t fit just right helps keep us moving and always focusing on fulfilling our dreams and also helping others accomplish their dreams. Looking at the big picture is huge – but also focus on quick and rewarding tasks that will help you to achieve your goals quickly – whether that’s approaching a podcast for an interview, pitching a client a gorgeous design, or putting your product and art for sale. Prioritize your short-term goals and use them to parlay you into long term goals. Just don’t stop! We’re a testament to that. Where can I get the book? 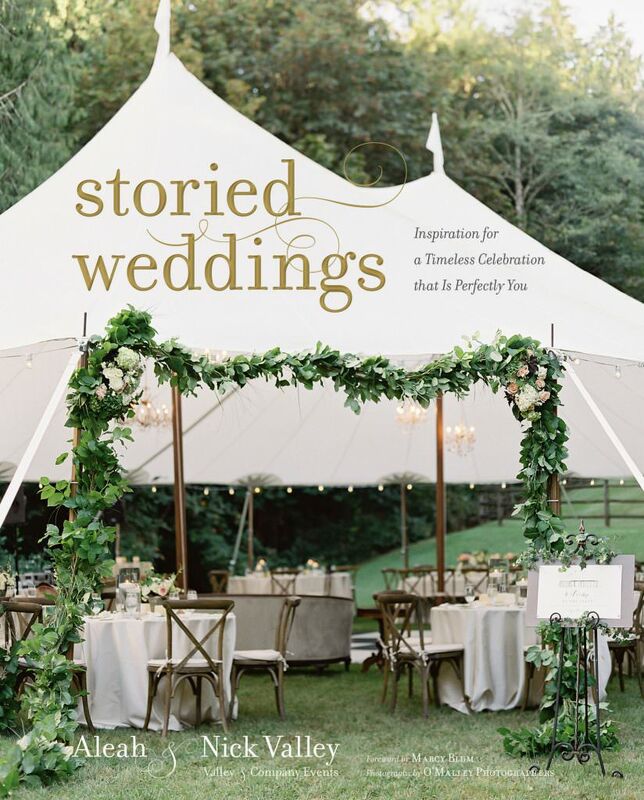 You can pick up Storied Weddings wherever books are sold – small book stores, Barnes & Noble, Target, Amazon, etc. !